You’ve heard the term, but did you know that a nor’easter just refers to the direction of the wind? 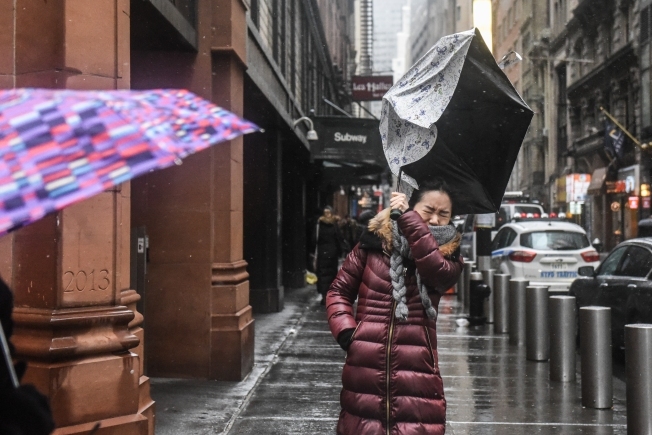 Spring kicked off with a wallop of wintry weather along the East Coast as the fourth nor'easter in three weeks rolled in with the potential for a foot of snow Wednesday. The first full day of the season included scenes of snow falling on blooming daffodils in suburban Philadelphia, New Yorkers twisting to fix blown-out umbrellas, tractor-trailers stuck on snowy highways and kids making their first snowman of spring. Authorities had attributed at least three deaths to the storm by Wednesday afternoon. A 51-year-old woman was killed in a weather-related van rollover on Long Island, NBC New York reported. Four of the five other women in the car were injured, Nassau County police said. A second person was killed when a bus and vehicle collided on Interstate 78 in Hunterdon County, according to New Jersey Gov. Phil Murphy. The third person, a 32-year-old passenger died in a car accident in Newark, according the Essex county prosecutor Robert D. Laurino and Newark Public Safety director Anthony F. Ambrose. Another person died in a New Jersey crash, though it was not immediately clear that the crash was attributable to weather, officials said. The flight-tracking site FlightAware reported Thursday morning 647 canceled flights within, into, or out of the U.S. On Wednesday over 4,000 flights were reported to be cancelled. Newark Liberty and LaGuardia airports both canceled more than 400 outgoing flights while John F. Kennedy International canceled half of its outbound flights. On Thursday morning, JFK airport cancelled an additional 90 flights. Philadelphia, Baltimore and DC airports all canceled about half of their outbound flights, and more than 150 outbound flights were canceled from Boston Logan International. On the ground, Amtrak scaled back service and canceled dozens of trains on the Northeast corridor. Some states banned certain types of trucks from major highways. Up and down the snow-weary Northeast coast, residents were urged to stay home and off the roads, if possible, on Wednesday, so crews could work to keep streets clear. 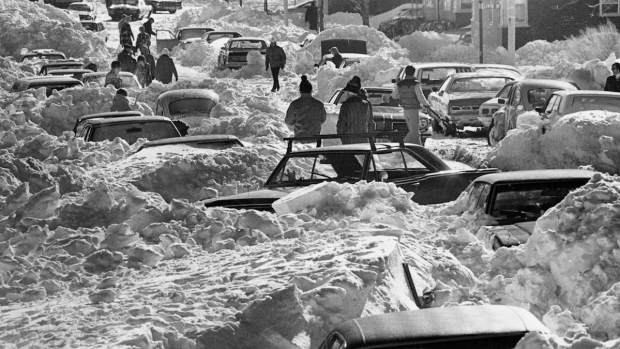 Schools canceled classes and state offices were closed in Rhode Island and New Jersey. States of emergency were declared in Delaware, New York and New Jersey. Up to 8 inches of snow had fallen in some Philadelphia suburbs by the evening, and more than a foot near Allentown, Pennsylvania. New York had at least 5 inches and braced for a total of 6 to 12. Forecasters said Boston could get 6 inches as the storm moved into New England. "Winter will not relent," said Pancho Ortega, who was clearing the sidewalk outside his soon-to-open restaurant in Philadelphia. "I don't like the shoveling part. I'm ready for it to kind of go away." The massive winter storm bearing down on the East Coast could pose health risks you're not expecting. Don't forget that it takes energy to stay warm, so your body starts working hard as soon as you step outside into the cold. 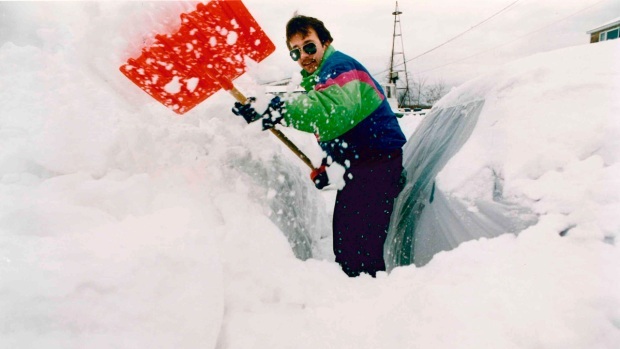 That's why it's easy to overdo it when you add physical activity like shoveling snow. The storm was just the latest to come off the assembly line in the Northeast since March 2. Many people's tolerance for wintry weather was already worn thin, after repeated power outages and lots of white-knuckle driving. "I didn't think I'd still need to keep storm stuff in my car in late March, but what are you going to do?" Wilson Collins, of Toms River, New Jersey, said as he checked his car trunk to make sure he had a shovel, a blanket and other emergency items. "I just hope this is finally it." The wet, heavy snow will test trees and power lines. Widespread power outages were possible with gusts over 40 mph from Delaware to New York City and winds blowing up to 60 mph in southern New England. "I didn't think I'd still need to keep storm stuff in my car in late March, but what are you going to do?" Wilson Collins said as he prepared to leave his Toms River, New Jersey, home on Wednesday morning, checking his trunk to make sure he had a shovel, a blanket and other emergency items. "I'm hoping most of the snow will accumulate just on the grass, but the roads will be a mess no matter what. I just hope this is finally it." In New Jersey, some streets were flooded along the shore, including one in Point Pleasant Beach where a pair of ducks cruised back and forth through an intersection where a plastic garbage can bobbed in the waves. The storm also unloaded snow on Virginia and West Virginia as it pushed into the Northeast. Virginia reported more 240 traffic accidents since midnight. In West Virginia, more than 6,000 customers were without power in the afternoon. New York Gov. Andrew Cuomo declared a state of emergency for New York City and its suburbs and said 5,500 utility workers and 300 National Guard members were standing by. The state also sent generators, light towers, plows and salt to areas that have already endured multi-day, storm-related power outages this month. Cuomo said he was told the utilities were better prepared this time. "We have had assurances," he said. "Frankly, I'm not satisfied with the assurances." Not everyone was sick of the snow. "If the snow keeps me away from school, I'm fine with it," Miles said. 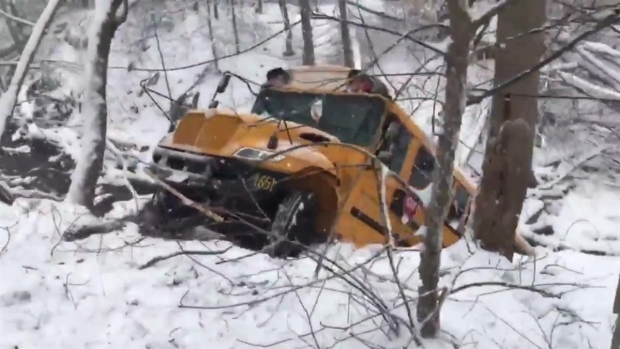 A Maryland school bus crashed on a snow-covered road before sliding down an embankment Tuesday afternoon. No children were on the bus at the time of the crash, and the driver was treated at the scene and released, the Frederick County Sheriff's Office said. In Maryland, where snow began to fall Tuesday, a Frederick County Public Schools bus slid off a rural road and crashed down an embankment. No children were on the bus at the time of the crash, and the driver was treated at the scene and released, the Frederick County Sheriff's Office said. Kristen de Groot in Philadelphia, Wayne Parry in Point Pleasant Beach, New Jersey, Michael Rubinkam in Orwigsburg, Pennsylvania, Kiley Armstrong and Larry Neumeister in New York City, Bruce Shipkowski in Toms River, New Jersey, contributed.